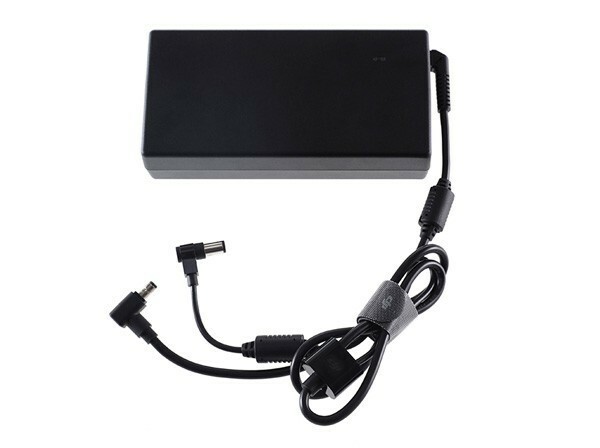 The Inspire 2 180W Power Adaptor charges the Inspire 2 remote controller and battery using AC power. It takes aproximately 1.5 hours to fully charge an Inspire 2 Intelligent Flight Battery or 2.5 hours to charge an Insipire 2 remote controller. When charging both devices together, charging may take longer than 2.5 hours.